Being one of Britain's leading manufacturers, we're passionate about the future of our industry and recognise the numerous challenges our industry faces. 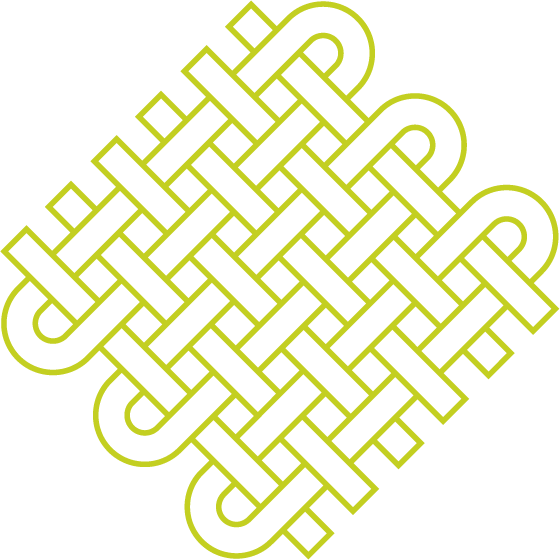 With this being at the very forefront of our thoughts, we're delighted to work with, be members of, and be supported by some of the industry's key bodies. The Furniture Makers’ Company is the furnishing industry’s charity. Their mission is to provide leadership to the industry and a framework of support which nurtures talent through education, helps those in financial need, and promotes excellence. In 2016 Whitemeadow became a valued corporate member of the Furniture Makers’ Company, sharing their vision, and supporting their aim to secure a bright future for our thriving industry. Homeserve offer an onsite repair service to all furniture, whatever the problem may be. They are able to carry out repairs to all upholstery including re-springing, changing any broken frame parts, re-webbing, changing zips, foams and any sewing required. Being a British manufacturer, we at Whitemeadow recognised ourselves as devotees to British made furniture. The British Furniture Manufacturers (BFM) is a trade association, employers' organisation and member of the European Furniture Manufacturers' Association. BFM has been representing the interests of the furniture industry for more than 60 years. In addition to its representational role, BFM offers an extensive membership services portfolio focused on providing 'value for money'. Their Mission statement: "To represent the membership, safeguarding the interests and promoting the standards and competitiveness, both nationally and internationally, in conjunction with the provision of services which have an impact on members' businesses"
The IT IS Great British Furniture is an initiative designed to increase awareness of the key factors that make British made furniture great in the eyes of the consumer, retailers, contract specifiers, architects and the wider international audience. This is something Whitemeadow are hugely passionate about, and are committed to supporting the initiative. It is a campaign run by the trade association representing British Furniture Manufacturers (BFM). Whitemeadow is a member of Sedex. Sedex is home to one of the world’s largest collaborative platform for buyers, suppliers and auditors to store, share and report on information quickly and easily. The platform is used by more than 38,000 members in over 150 countries to manage performance around labour rights, health & safety, the environment and business ethics. Sedex is not a standard setting body and doesn’t approve or certify our policies and standards. Instead, being a member of Sedex is a sign of Whitemeadow’s willingness to share information and to utilise this information to help manage and improve ethical standards within the supply chain. Whitemeadow are also a member of the FIRA Compliance Scheme. The Furniture Industry Research Association’s ‘Compliance Scheme for the Fire Performance of Upholstered Furniture’ aims to offer reassurance that a manufacturer, retailer, upholster or supplier of upholstered furniture has suitable processes and procedures in place to demonstrate due diligence compliance with the UK’s Furniture & Furnishings (Fire) (Safety) Regulations (FFFSR). 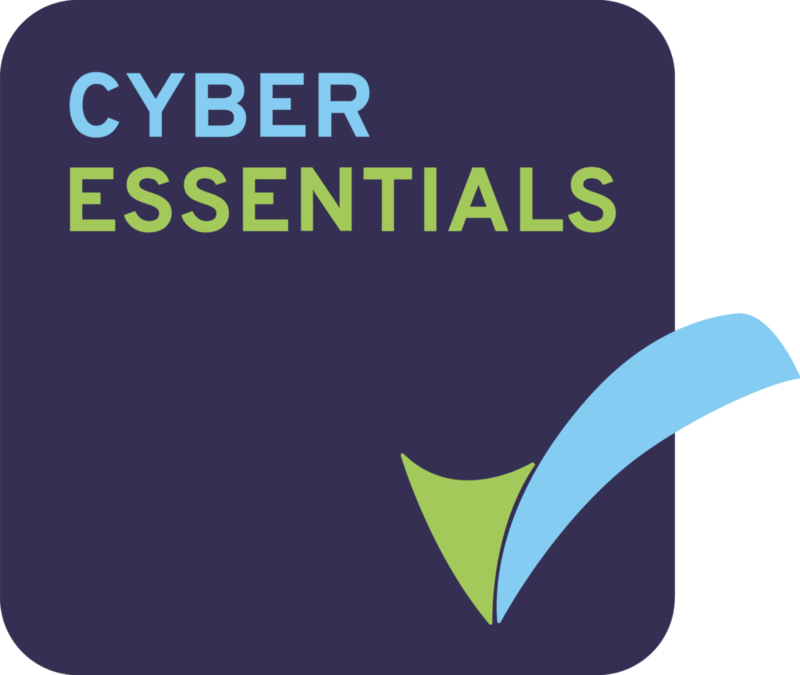 Whitemeadow have achieved the Cyber Essentials IT security standard. This means we adhere to certain IT security measures and certifies our data protection measures. Whitemeadow is helping inspire the next generation of designers and furniture makers by supporting a campaign organised by The Furniture Makers’ Company, the furnishing industry’s charity. We have sponsored eight schools within the local Nottinghamshire area. Launched in 2014, the School Design Prize raises awareness of the furnishing industry among school children by rewarding them for their design & technology course work. Every year The Furniture Makers’ Company asks companies and individuals to sponsor copies of a design textbook which are then posted to schools around the country for design & technology teachers to present to their most outstanding student. The prize is a certificate and a copy of ‘Design of the 20th Century’ by Charlotte and Peter Fiell, published by Taschen. The Furniture Makers’ Company is the British furnishing industry’s charity, which fosters and supports the industry by nurturing skills and expertise, supporting those in need and inspiring excellence. It encourages the highest standards and best practice in the design, making, marketing and selling of all kinds of furniture and furnishings throughout the UK, recognising quality through the award of its Guild Marks. 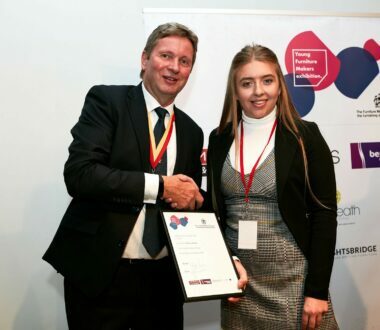 It supports students and young people with grants, training and mentoring in order to foster talent and safeguard the future of the industry. 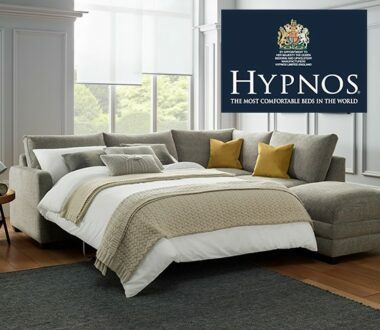 It provides support and assistance to those in need who are working or have worked in the UK furnishing industry. You can find out more here. Ian Oscroft, Managing Director at Whitemeadow commented: “It is absolutely key for our industry that we focus on developing the next generation of designers and we are keen therefore to support this initiative within our local area”. 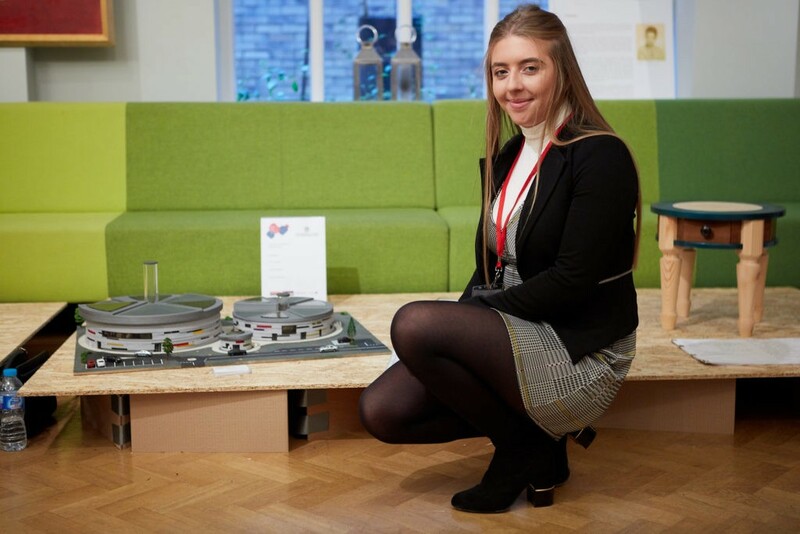 George Cooper, Marketing and Communications Manager for the Furniture Makers' Company commented: "Emily Lindsay from Joseph Whitaker School, one of Whitemeadow’s recipients was in attendance, and she actually came second in the National School Design Prize for the piece called Multimedia. It wasn’t a piece of furniture per se, it was an architectural model, but she got a lot out of the day. Her parents accompanied her and they were very positive about the prize and the exhibition, and it’s because of Whitemeadow’s support, so thank you". 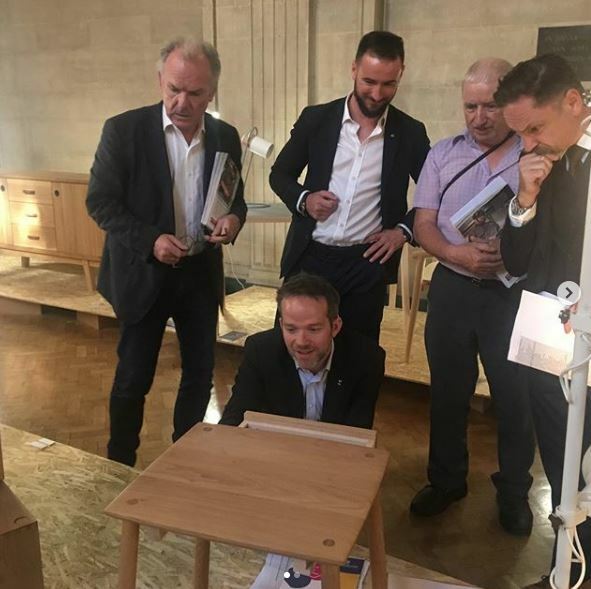 Click here to view a short video which captures the vibrancy and excitement of the 2018 Young Furniture Makers Exhibition.